Lake Superior. Montreal River Weather Radar Station, upper right corner. Foreground, ridge where wind turbines will be places for Bow Lake Wind Farm. Once again, we do not usually re-post from blogs but this is an excellent summary of the recent appeals of the Goulais Bay and Bow Lake power projects, together with excellent photography by Gary McGuffin. In Ontario there have been 20 appeals in opposition to industrial wind turbine farms brought before the Ministry of the Environment (MOE) and 19 have been dismissed. An appeal by Prince Edward County Field Naturalists to kill the development of an industrial wind turbine farm on Ostrander Point was won before an ERT in July 2013. However, the decision has since been reversed by the Ontario Divisional Court and appellants are seeking an appeal before the Ontario Court of Appeal. George [Brown, of LSARC] commented, “The 240 Bow Lake appeal came close to winning. Based on the Ostrander Judicial Review decision the Tribunal found that in order to prove irreversible harm it was necessary for the appellant to know the size of the populations being harmed. Having found that the 240 appeal failed to prove irreversible harm the Tribunal declined to make a finding on the issue of serious harm, though it agreed with virtually all the arguments on bats submitted by the 240 appeal. As a result the Tribunal imposed immediate and more stringent mitigation measures on the project – a tacit admission that species-at-risk bats would otherwise be killed, which would be a serious harm. Deadline for comments is August 23rd. The 16.4-MW Fairview project in Clearview Township, which was returned to the developer because of a lack of a heritage assessment, has now been reposted for a 30-day comment period. The link to post comments is here. The new documentation from wpd is here. Interesting note from the EBR site: Since the REA application was received on September 5, 2012 and deemed complete on December 3, 2013, the Ministry of the Environment and Climate Change (MOECC) determined that Cultural Heritage Studies were not undertaken for the portion of the study area located north of County Road 91. In addition, during the technical review, wpd Fairview Wind Incorporated informed the MOECC that they were making technical changes to the project, including using alternative access to turbines T1, T5, T6 and T8. HOW IS IT that documents are “deemed complete” and then–oh, my–one of them wasn’t even there? In other news, the 102-MW Goshen project near Bluewater, and the 2.5 MW Quixote One project near Tiverton, were approved. The wind “farm” or, as we prefer it, wind power generation project, in Brinston Ontario, is the first wind power plant to have 3-megawatt turbines operating … but not for long. Many of the other power projects such as those at Bluewater and in the Niagara Region are specified to have 3-megawatt turbines. Ontario still does not have any protocol for measuring infrasound or low-frequency noise (LFN) which these machines produce. 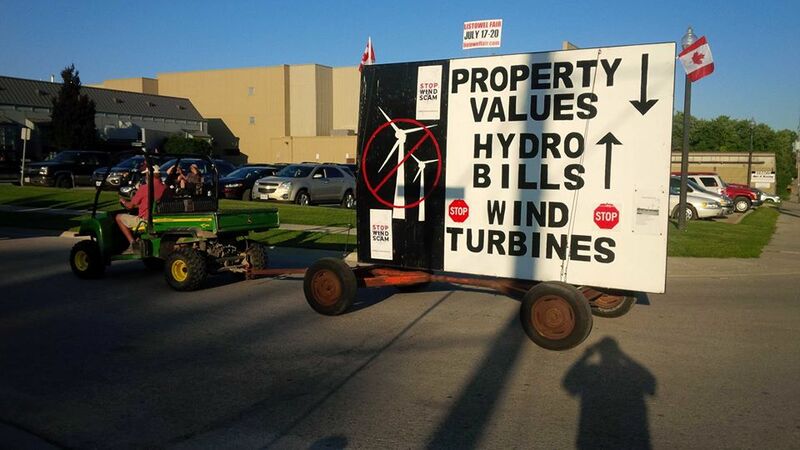 It is worth noting that Brinston has about 400 homes within 2 km of the wind power project and its 3-MW turbines; in the Niagara Region there will be 4,500 homes, and in Bluewater, more than 2,000. Here is a report from Brinston where the turbines have been operating for only four months. BRINSTON – It has been more than six months since the blades of the South Branch Wind Farm turbines began to spin, leaving more than one nearby resident with some sleepless nights. Disheau, who is running for the Municipality of South Dundas’ deputy-mayor seat in this fall’s municipal election, has been staying close to home since the Ministry of the Environment (MOE) installed noise-monitoring equipment at her Brinston Road property last week. 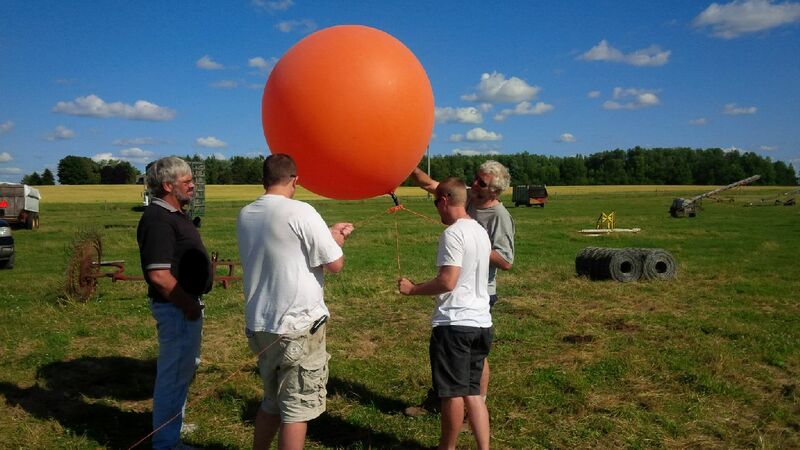 “MOE contacted me and asked if they could put this noise monitoring equipment up,” Disheau said. The two pieces of equipment measure wind speed and direction, barometric pressure, rainfall, and more, she said. She has submitted three separate noise complaints so far. Every complaint must be filed with EDP Renewables’ project leader Ken Little and local MOE representative Terry Forrester to be officially registered. During EDP’s first open community liaison meeting in March, a Brinston man spoke out about his own sleep disturbances, suggesting the turbines be shut off for a period during the early hours of the morning, beginning around midnight. At that time, Little confirmed that there had been one official complaint already registered. He also said an acoustic audit had been ordered, which he expected to get underway within two months of the meeting. “EDP has not released their post-construction noise audit report,” Disheau said during an interview with the Winchester Press Fri., July 18. In conversation with one of the MOE officials who installed the equipment, Disheau said she learned that the provincial authority also had not seen a report from EDP. To describe what the sound is like, she used Highway 401 versus airplane noise as an example, pointing out that the highway noise is more of a hum, and when she lived near it, the sounds did not bother her at all. Explaining the noise and its effects on her is not easy, she said, but it is similar to the sensation people get in their chest when listening to bass guitar. Disheau said she explained her experiences to MOE’s acoustical engineer, adding that the sensations are at their worst when the blade tips of the turbine across the road (south of Brinston) and the one to the north behind her home (west of Brinston) are facing one another. Meanwhile, Disheau is the only one in her home experiencing the effects of the rotating blades, as her husband, who shares the second-storey bedroom on the home’s vinyl-sided addition, is tone deaf, and her children sleep on the first floor of the brick-sided main house. The noise-monitoring equipment is controlled by a switch, which has been placed inside Disheau’s home. When she notices the noise, she flips the switch and the machinery calculates and documents the findings. “Once everything is taken down, the ministry guy goes through [the recordings] and writes his report,” she said, which will list the decibel readings for various weather conditions (wind speed and direction). When asked what she hopes to accomplish through this procedure, Disheau said the findings could require that EDP shut down operations during specific times of the day or during specific wind conditions should they prove the decibel levels exceed the regulated amount. TERMINATED: Big Thunder Wind Park wind farm dead? The news this morning, via Tom Adams of Tom Adams Energy, is that the Ontario Power Authority announced the termination of several Feed In Tariff contracts, among them the Big Thunder Wind Park. See the OPA list of contracts ended here. Big Thunder is the subject of several legal actions, including that by the Fort William First Nations; the First Nation claims there was not adequate consultation for this project with their people. Other concerns have been raised over the years about environmental damage and the potential to kill fragile wildlife populations. Full approval of the project was put off until after the recent Ontario election. More news on this as we receive it. We understand that Transport Canada has recognized the seriousness of the situation in Ontario as regards aviation safety and wind turbines being built around airports. A committee has been struck and is now looking at recommendations and phasing in action. The Canadian Owners and Pilots Association (COPA) has been sounding alarm bells on this issue since 2009. Last year, CEO Kevin Psutka was engaged in correspondence with power developer wpd Canada over safety concerns at the Collingwood airport (See correspondence string here) and at one point accused the developer of “hiding” behind a consultant’s report on aviation safety that was actually prepared on the basis of very limited parameters. In a note written in 2013, Mr Psutka states, “At least there has finally been an acknowledgement of the gap in the regulations. Transport Canada does not have to act on the recommendation but we can use this statement to further highlight to the provincial government that a ‘no objection’ statement from Transport Canada does not mean ‘no impact on aviation’. There should be a buffer zone around aerodromes and COPA made a recommendation during the development of the Green Energy Act to ensure that as part of every proposed project a thorough investigation is performed with a goal to minimize the impact on aviation. 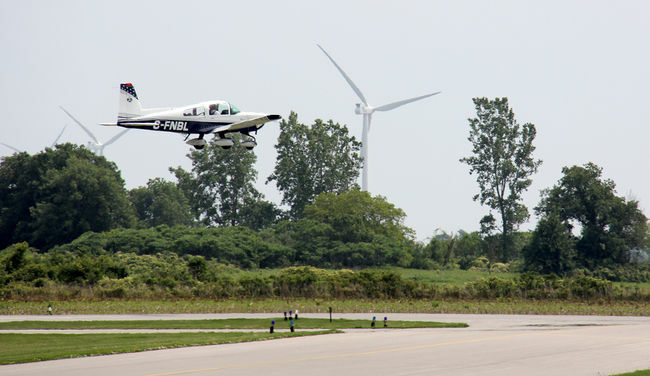 The gap in federal regulations, acknowledged by the Transportation Committee, indicates that until such time as Transport Canada makes the appropriate regulatory changes to protect aviation, the province has an important role to play in ensuring that the air transportation system, including smaller airports and aerodromes, is not adversely affected by windfarms. “This is a safety and social issue that to date has not been given appropriate attention by the federal or provincial governments,” Mr Psutka concluded in his March, 2013 email. This is another issue, like putting turbines where they will kill migrating birds, or bats which are so important to agriculture, or putting turbines next to homes and schools, that one would think would be governed by common sense, if not loftier ideas like the Precautionary Principle. But it isn’t, not in Ontario, where you have government officials actually saying that the “overall benefit” of wind power generation trumps every other concern. Health, safety, even the environment–wind power beats all. If the Ontario government won’t protect the people of Ontario, it is high time someone else in government did. Bats suffer from an airborne version of the diver’s condition known as “the bends” when they fly too near wind turbines, experts have claimed. Concern for the welfare of the creatures has already prompted dozens of challenges to schemes in the Westcountry. The RSPB lodged an objection against Somerset’s first multi-turbine wind farm at West Huntspill – which is was eventually dismissed by the Secretary of State but is now subject to a High Court appeal by developers Ecotricity. The bird charity claimed it was in a “flight path” for birds and bats which could hit the rotor blades. Now Queen’s University Belfast has unearthed another potential problem, namely that pressure from the turbine blades causes a similar condition as that experienced by divers when the surface too quickly. Conservationists have warned that the bodies of bats are frequently seen around the bases of turbines, but it was previously assumed they had flown into the blades. Dr Richard Holland claims that bats suffer from “barotrauma” when the approach the structures which can pop their lungs from inside their bodies. He said energy companies should consider turning off turbines when bats are migrating. “We know that bats must be “seeing” the turbines, but it seems that the air pressure patterns around working turbines give the bats what’s akin to the bends. The team at Queen’s University also found that bats use polarised light to navigate as well as echo-location. Greater mouse-eared bats were shown to react to the way the sun’s light is scattered in the atmosphere at sunset in order to calibrate their internal magnetic compass, in a study published in the journal Nature Communications. Researchers said a huge number of animals including bees, dung beetles and fish use this system as a form of compass, but bats are the first mammals to do so. They said they remained baffled as to how bats achieve this feat. The finding adds to a growing list of systems used by bats to navigate including echolocation or sonar, the sun, stars and the Earth’s magnetic field, as well as smells and sight. Stefan Greif of Queen’s University, lead author of the study, said: ‘”Every night through the spring, summer and autumn, bats leave their roosts in caves, trees and buildings to search for insect prey. Yesterday, residents of Central Bruce and the Central Bruce Wind Action community group, filed a letter with the Ontario Ministry of the Environment and the Office of the Ombudsman of Ontario, regarding serious environmental issues associated with the K2 wind power project in Ashfield-Colborne-Wawanosh. The letter, which was accompanied by almost 300 signatures from local residents, details the fact that issues concerning the danger to the water table and municipal water supply were raised repeatedly during the comment and approval process for the 270-megawatt power facility. K2 is being developed by a consortium of Capital Power, Samsung, and Pattern Energy. Almost immediately upon commencing construction for K2, the land became flooded, with water spilling into municipal drains and ditches; the water was so significant that locals branded it “Lake K2” and the developers had to post a warning sign, complete with a lifesaver attached. The developer is now trucking water from the site. Clearly, the Central Bruce letter writers state, the documents filed with the application for K2 were incomplete, and important issues not considered by the Ministry of the Environment. Thank you for taking the time to share your kind words of congratulation. It is an honour and a privilege to continue serving this great province as Premier. I have noted your comments on behalf of Wind Concerns Ontario and have shared a copy of your correspondence with my colleague the Honourable Glen Murray, Minister of the Environment and Climate Change, for his information. My colleagues and I are committed to building a brighter future for all the people of Ontario. We understand that being fiscally responsible is fundamental to our future, and that building a fair and inclusive society is at the heart of a more prosperous Ontario. These are the principles that will guide us as we work with you, and all our partners, to make Ontario a better place to live, work and raise a family. When it comes to building opportunity for the people of Ontario and securing our province’s future and well-being, my colleagues and I want to hear everyone’s voice and listen to everyone’s input. That is why I am grateful for your ideas and suggestions. Thank you again for your kind words. Please accept my best wishes. Almost everyone loves birds and this is the season for bird watching. Recent articles in newspapers such as The Ottawa Citizen have noted sightings of beautiful bird species such as the Lark Bunting on Amherst Island, and also of the concern for the Purple Martin population. The proliferation of wind ‘farms’ along Ontario’s shorelines—Lake Erie, Lake Huron, Lake Ontario, and Lake Superior—is of grave concern to everyone in Ontario who is a true environmentalist. Other sensitive areas such as the Luther Marsh, are also being encroached upon by wind power development, despite federal government guidelines which clearly advise against siting power projects in such areas. An article in the London Free Press recently made note of how critical Important Bird Areas or IBAs are to conservation of the natural environment and wildlife…but there was not one word about the IBAs threatened by wind power all over Ontario. The Ministry of the Environment lawyer Sylvia Davis remarked at the appeal of the Ostrander Point decision in January that, it doesn’t matter if a few birds or animals are killed—“wind power is an important public infrastructure project” that outweighs everything. We think lots of other citizens of Ontario do, too.